Understanding child development through the prism of the Five Elements adds an exciting new dimension to western thinking on the nurture of children. It can not only explain patterns of behaviour in a new and helpful way, but suggest approaches and methods to help children, and groups of children, become more balanced and therefore happier, more resilient, and more open to learning and new experience. The authors explain in detail the characteristics of each of the Five Elements of Chinese thought (Wood, Fire, Earth, Metal and Water) with their distinctive modes of expression and potential associated difficulties, and describe the problems that can occur if a child's elements are not in balance. In doing so, they provide a completely new and accessible way of understanding the emotional and behavioural state, and developmental stage of a child, in and out of the classroom. They introduce a wide range of easy-to-do and entertaining exercises and group activities to balance the elements, both individually and in groups. 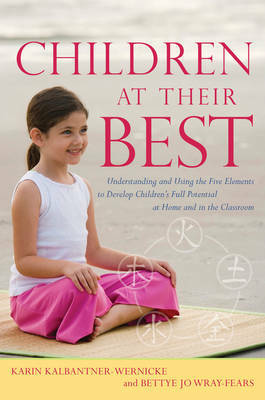 This exciting and practical book will help anyone working with or caring for children to deepen their understanding of childhood behaviour in general, and of individual children in particular, and to take active steps to nurture their potential, including teachers, therapists, occupational therapists, Chinese medicine and other alternative medicine practitioners, and Qigong and martial arts teachers, as well as parents.